connected life – Media! Tech! Parenting! Did you know that, besides searching, Google can carry out a variety of simple tasks in daily life — making 21st Century connected life easier or at least a bit quicker? Amaze your children or students by trying out and sharing a few of these Google bells and whistles. A few of the tasks may also support learning activities. Use Google as a timer by typing set time to 24 minutes. Find a movie release by typing the name of the movie and the word release: e.g., Second Best Exotic Marigold Hotel release. Check out the sunrise and sunset times by typing sunrise in [town or city]. Get the weather forecast by typing forecast [town or city]. Get a definition by typing define [word here]. 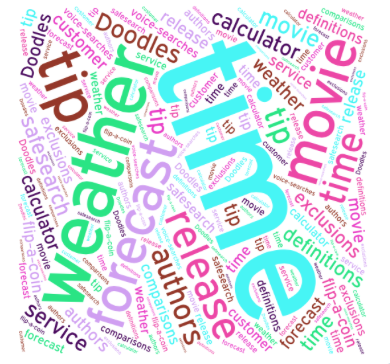 Figure out a tip by typing tip calculator. Get songs by groups you like by typing songs by the [group name]. Convert measurements by typing convert and the units that you want to convert to: e.g., convert 3 yards to meters. Find books by a certain author by typing books by [author’s name].